Jurupa Valley, in Riverside County, is one of the newest cities in California. It was formed in March of 2011. It is about 43 sq miles in size. 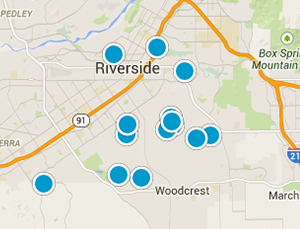 Jurupa Valley is located just north of Riverside. Its population is approximately 95,000. Come home to this lovely Loring Ranch home. 3 bedroom, 2 bath with a large yard. Corner lot on a cul-de-sac. Cozy fireplace in living room.